The Government Today has issued a clarification extending the existing exemptions with regard to cancellation of the legal tender character of the existing series of high denomination bank notes of Rs.500 and Rs.1,000 denominations until the expiry of 14th November, 2016, with certain modifications / additions to the existing exemptions. (i) Payment for court fees will be included in the exemptions. (ii) The ID proof of customers will be required for transactions in consumer cooperative stores. (iii) Payments towards utility bills will be restricted to only individuals / households for arrears and / or current bills. No advance payments will be allowed. (iv) Payments in toll-plazas of the State and National Highways will be deleted from exemptions, considering that the Ministry of Road Transport and Highways is separately issuing instructions in this regard.”, States the release. It is also clarified that there is enough cash with RBI. Supply of cash to Bank branches and ATMs are being stepped up gradually. Earlier it is notified that railway ticket booking counters, ticket counters of government buses and airline ticket counters at airports will accept the old notes for purchase of tickets. 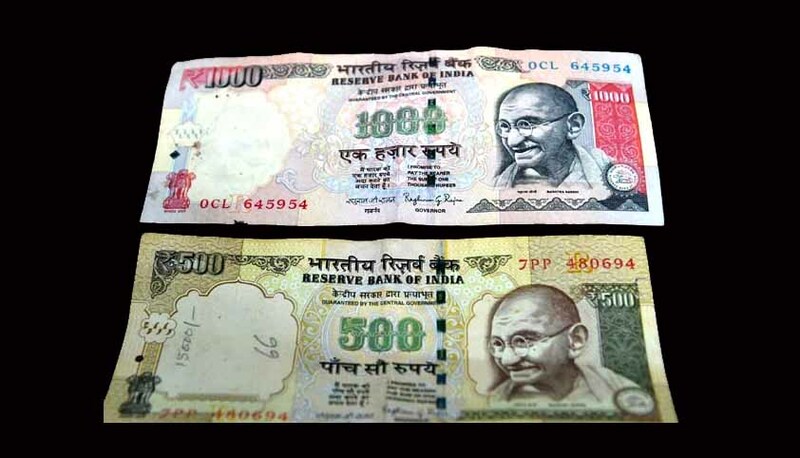 It is also made it clear that, five hundred and thousand rupee notes will be accepted also at. Petrol, diesel and CNG gas stations authorised by public sector oil companies Consumer co-operative stores authorised by State or Central Government Milk booths authorised by State governments Crematoria and burial grounds.e outlets will have to keep proper records of stock and collections.